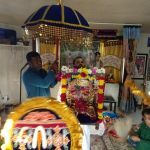 Categories: Ashada Ekadasi, Guru Poornima. 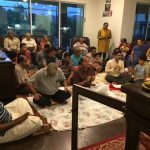 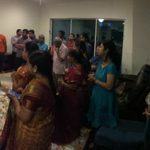 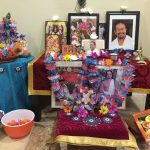 By the divine grace and compassion of Sri Swamiji, Guru Poornima and Aashada Ekadashi celebrations took place in a very grand manner in Orlando. 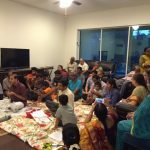 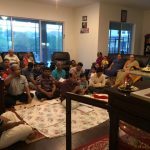 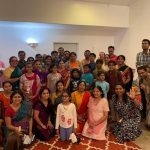 About 30 devotees attended the blissful event on Saturday, July 23 at the residence of Mythili ji and Sreedhar ji. 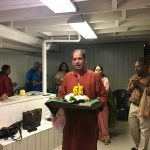 The place was filled with vibrations from chanting of the divine names and singing the glories of Sri Swamiji and Lord Panduranga. 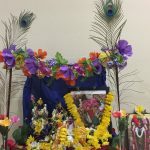 Devotees sang several Madhurageetam songs, abhangs and Purandaradasa’s kirtans. 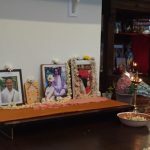 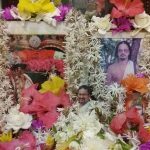 The devotees offered their humble prayers to Sri Swamiji and Sri Thakuruji to bless them with more and more satsangs and Kaikarya in the future.